As the battle heats up to attract and retain the best and brightest talent available, American business is turning for help to an industry it once regarded as highly suspect: executive coaching. Just a few years ago, when profits and top performers were plentiful, corporate giants pooh-poohed the idea of coaching as just pop psychobabble aimed at eroding their bottom line. The common refrain was, where’s the ROI, return on investment? Even those more progressive companies that welcomed TQM, total quality management, and excellence seminars, based on Steven Covey’s “Seven Habits of Highly Effective People,” placed it in the expenditures column. Today, however, one-on-one executive coaching, not just training, is all the corporate rage. What has made companies suddenly embrace their softer side? You guessed it: ROI. According to a 2001 MetrixGlobal study of one Fortune 500 company, executive coaching returned more than $5 for every $1 spent, 529 percent, in significant financial and intangible benefits to the company. When the financial benefits of employee retention were rolled into the mix, the ROI was nearly eight to one, 788 percent. In the 2002 study, “The Economics of Executive Coaching,” Harvard Business School Journal estimated that there were at least 10,000 coaches working in business, up from 2,000 in 1996. That figure was expected to grow to 50,000 by 2007. 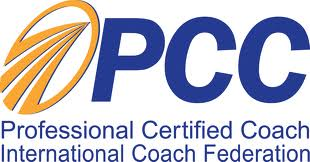 The International Coach Federation lists 8,461 members and more than 132 chapters in 34 countries. Companies reportedly pay fees ranging from $1,500 to $15,000 per day. “Business leaders are recognizing that good social skills are good business,” says Peggy Post, great-granddaughter-in-law of etiquette pioneer Emily Post and co-author of “The Etiquette Advantage in Business.” “It’s not a sissy subject at all. It’s a very timely business topic to help increase productivity, employee retention and client/customer retention. It just makes things run much more smoothly,” she says. Executive finishing school? In these downsized, belt-tightening times? That’s right. At the new global dinner table, American business is starting to sit up straight and mind its manners. Businesses rely on executive coaches in two main training areas: internally, to groom their junior executives to one day take the helm, and externally, to prepare their leaders to flawlessly represent the company when meeting, dining and socializing with customers and clients. Such clients as Cisco Systems and Google find coaching a cost-effective way to counter the brain drain of a more mobile and global economy. Catherine Hind, an executive coach in Vancouver, Bristish Columbia, says that under the old business model, employees who excelled at their jobs were often made leaders without ever acquiring the necessary skills to motivate, lead and develop those beneath them. It was a sad sort of “Peter Principle” scenario that left the new leader feeling frustrated and ineffective and the company wondering where all the promise went. That’s where executive coaches come in. Armed with various assessment tools, they analyze an individual’s strengths and weaknesses and factor in where the employee wants to go and where the company would like to see them go. They then work one-on-one with the individual to help them acquire the competencies they will need to get there and to be effective when they do. Some companies, including IBM, actually studied leaders throughout their organization to identify leadership competencies for their execs to acquire. By using self-assessments, management assessments and 360-assessments, they are able to track the progress of employees through this ongoing finishing school. Markovits says the use of coaches to grow leaders internally beats hands-down the previous system of favoritism, fraternalism and that time-honored tradition, sucking up. For Post, executive coaching can run the gamut from cubicle etiquette and body odor diplomacy to how to request or offer help without offending. Not surprisingly, companies call upon the Emily Post Institute frequently for a refresher course in good old-fashioned table manners. In most training programs for peer coaches and mentors the curricula focuses on their ability to understand and support the peers, partners and clients with whom they interact. A common element of most coach training manuals, for example, is an emphasis on listening skills and an admonition to stay in the listening role and refraining from giving answers or advice. But what happens when the partner or client directly asks, “What would you do if you were in my shoes?” “How would you handle this situation?” or “What do you think I should do about this?” In other words, what happens when the peer coach or mentor is being challenged to supply an answer or some advice? How would you handle it personally ? If it is really not a good idea to give an answer and it really is best to have the coachee work it out themselves I usually say something like, “Well describe for me the options in detail, with the pros and cons laid out. Often during that process the light will go on for the coachee and they know what they need to do. If it is acceptable for me to give an answer I do. BUT typically not one. In these cases I often offer a couple of options AND their pros and cons and work with the coachee to still have them make a choice. It would be prudent to point out that this is their decision ultimately to make to avoid from them resorting to your opinion in the future or retaliating against you for bad advice. Here are some options you have as a coach, and all will depend on the situation, no two coaching sessions are ever he same and that’s the beauty of coaching. There is always something new. 1) Acknowledge the question and make the coachee aware that it is much more powerful for herself to come up with the answer. As a coach I don’t want my coachee to become dependent on me giving the answers. Coaching is asking good questions. Giving advice is not bad however its not coaching. A mentor could give advice or a friend could give advice. As coaches we have a distinct role to fulfill. 3) Check the level of confidence of your coachee and help them access a confident state of being. Again this is a coaching opportunity. 4) The bottom line is that as a coach I see my clients as whole and complete and capable of answering any question. My job as a coach is to guide them through questions in filtering out that one answer that will work for them. In the end the coachee is the expert in her life and her career and I am an expert at asking good questions. When at the end there is an answer that the coachee has chosen powerfully and that will work in her life, than we have succeeded. Please remember that after a coaching session the coachee should not only have clarity but also more confidence in himself. If your coachee is already in a powerful state have him lay out all the options at hand than explore the strengths, weaknesses, opportunities, and threats for each option. You can even go as far as ranking each area in terms of importance and add them up. This will provide much insight, clarity, confidence and power. I think you have gotten some good counsel here, so I will address the question from a different point of view. To my mind, this is a very dangerous question. It is either an indication that the client does not understand the nature of a coaching relationship or that s/he does not have proper respect foer the boundaries. It is, in short, a test. Answering it directly changes the relationship I have with my client (sorry, but I despise the term “coachee”). If I answer the question, I fundamentally undermine the integrity of the coaching relationship- and I turn myself into a consultant. Answering undermines the client’s trust in their own judgment and shifts the accountability for answers to the coach. It mya relieve the client’s temporary stress and feed the coach’s ego- but the longer term effects are much more damaging. So, what would I do? 1. Remind the client that his answers are the ones that matter- perhaps by asking what he wants to learn from what I would do. 2. Confirm that I will not answer in order to sustain the integrity of the relationship. 3. If it is not clear, prompt for distinctions about the emotional upset. Why is this issue so much harder than others? I often find that the root of such a stymie is a client’s attempt to address an emotional issue with logic or some other disconnect of domains. I want to be certain that the client understands the real challenge(s). 4. Once we have addressed the anxiety of the challenge, then we can begin to break the issue down in a practical coaching manner, maybe by brainstorming possibilities. Interesting, I was mentoring someone and she asked “What should I do?” I had been waiting for her to ask “What would you do?” She never did. I would’ve done something different.If the person is a personal friend who is asking for advice, then I might consider saying what I would do, but even then, I would be very careful how I would offer my advice. But to answer your question, I would say “I can’t answer that question,” especially if you’re being paid as a coach. First, if you say what you would do and he/she decides to do what you would do and the results are not good, could he/she take legal action against you? I’m not sure. That’s one reason I would refrain from answering the question.Secondly, I would advice him/her that I do not know the actual people and the exact situation you are involved in, and what I would do may not and most likely would not be proper unless I was in your shoes. I then would continue to say that as your coach, I’m here to help you to clarify your situation and help you to decide what you want to do. If I interject what I would do, I would not be acting as your coach. I’m here to assist you in finding your own solution. Senior Sales and Leadership Techniques Expert Designer. A. I give the answer. B. I give him that kind of look, like saying “we both know that you know… please, c’mon”. D. I tell an example of another client in his same situation that has already solve the same problem. …and please, don’t follow exactly what in those trainings tell you. Build your own style with your clients, with your practice. This is quite common. The answer comes with experience. It is critical that the coach is at all times in charge of the coaching session. Regardless of the clients questions, it is the coach who determines the response. It is best for the answers to emerge from the interaction between the coach and the client rather than a direct response to the participant. Coaches who are clinically trained interviewing have many opportunities to develop skills in art of listening and assertive communication. 4) last but not the least, if it does mean giving an answer in the best interest of the coached, then go ahead and give it! no rule, method or process is as important as the interest and well being of the coached! Well, now you know why I added consulting to my ‘bag” of offerings. The answer to the question, IMO, using coaching terms is: If you did know what to do , what would you do? or throw it back… If you were in my shoes in this situation, what do you think you’d do. I do offer clients the situations I’ve been in and what I’ve done… or situations of clients (w/o using names, places, etc) and tell them what they’ve done. And then I always say, it’s up to you. Seem to have worked these past 9 years. There is only one success–to be able to spend your life in your own way.